Rehabilitating after a stroke involves lots of time, confusion, frustration, and, possibly, pain for whoever suffered the stroke. One common side effect of a stroke is impaired balance, and some stroke patients feel they can never return their balance to normal again. With effective rehabilitation medicine and rehabilitation research, though, patients’ quality of life can be greatly enhanced after a stroke. 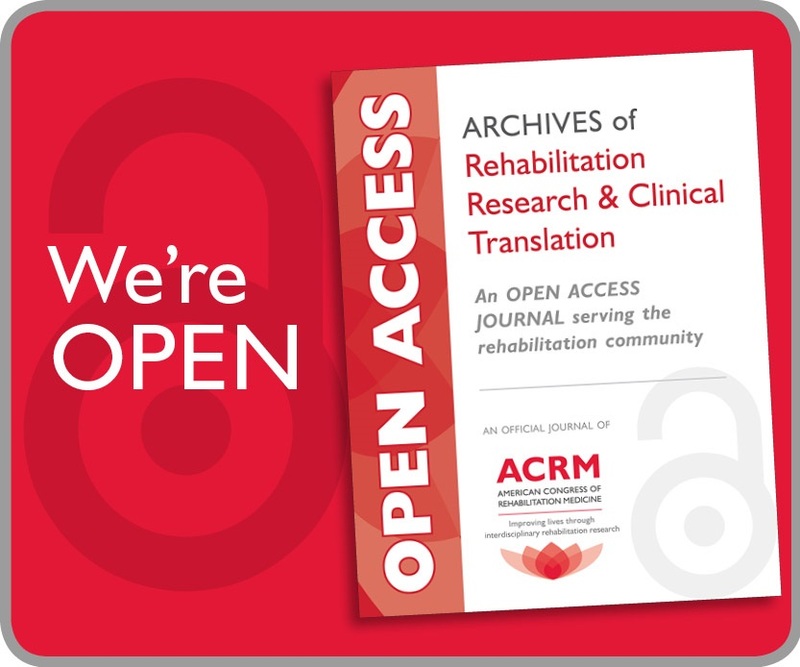 At ACRM, we’re dedicated to medical networking for medical professionals and providing rehabilitation research information from other medical research journals. Rehabilitation research is key to the continued improvement of the medical field, and we invite you to share your rehabilitation research with us as well. When you join ACRM, you’ll have access to medical resources you need — the ACRM journal, medical networking, and a culture and practice dedicated to improving the lives of individuals with disabilities. Read our blog post on rehabilitation research about balancing the body after a stroke, and join us today to share more information in your field of expertise. You may take your balance for granted most days, but patients who are currently struggling with balance certainly don’t. Almost all of our day-to-day activities involve balance in some way, and it can be debilitating, embarrassing, and frustrating when someone’s balance is impaired after a stroke. Furthermore, imbalance can lead to falls and, therefore, other accidents and injuries. Our balance — or imbalance — involves different parts of our bodies to work; eyes, ears, and sensory nerves in muscles and joints all play a role. Each part needs to work together to achieve maximum balance. Sometimes, balance will be minimally impaired after a patient’s stroke and the ensuing rehabilitation to improve balance will be quick and easy or even nonexistent. Other times, however, the different parts of the body involved in balance (such as the brain, eyes, and limbs) won’t work well together and rehabilitation will be fully necessary to help patients feel steady, in control, and healthy. Ataxia: When associated with stroke, ataxia primarily refers to symptoms of incoordination. It can affect many body parts, including eyes, hands, arms, legs, body, and even speech. 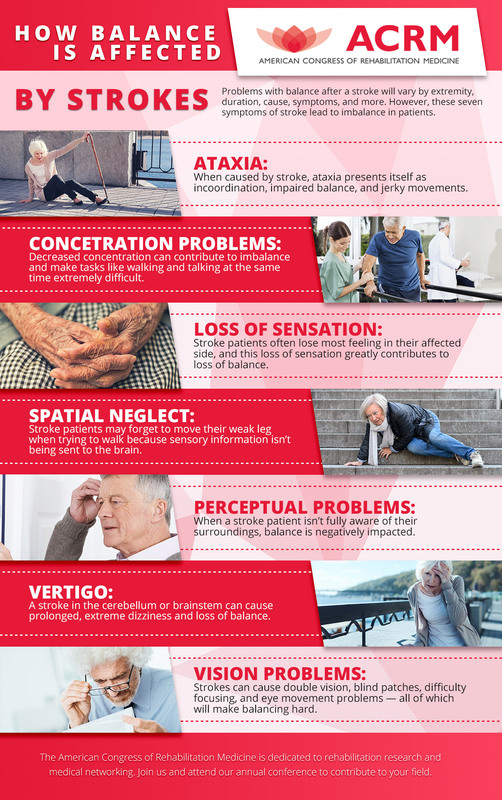 Jerky movements, impaired balance, and incoordination or balance issues can be signs of a patient dealing with ataxia. Concentration Problems: This may not seem immediately related to problems with balance, but many patients can handle their imbalance as long as they’re focused. Post-stroke movement requires more concentration than most patients are used to for seemingly simple tasks, such as walking and speaking at the same time. Loss Of Sensation: If your patient can’t feel their affected side, then knowing how to move, walk, and operate in general will, understandably, be much more complicated. Spatial Neglect: When someone’s brain isn’t processing sensory information from one entire side, they may forget to move, for example, their weak leg when trying to walk. This neglect can cause extreme losses of balance and lead to further injuries. Perceptual Problems: Some patients’ balance is affected negatively because they’re not fully aware of their surroundings due to decreases in perceptual awareness. Vertigo: This is what the average person most often associates with balance problems. When a patient has a stroke in their cerebellum or brainstem, they may be left with extreme dizziness and loss of balance. Vision Problems: Unfortunately, another effect of strokes can be vision problems such as double vision, blind patches, difficulty focusing, and eye movement problems. All of these can contribute to impaired balance. Like we said earlier, the symptoms, causes, duration, and extremity of impaired balance will vary greatly from person to person. Each case should be handled on a personal basis, but rehabilitation research has shown some effective means of combating imbalance. If you have additional rehabilitation research focusing on strokes (or any other medical issue), we’d love to hear your input. Retraining Exercises: As with anything, practice makes perfect. 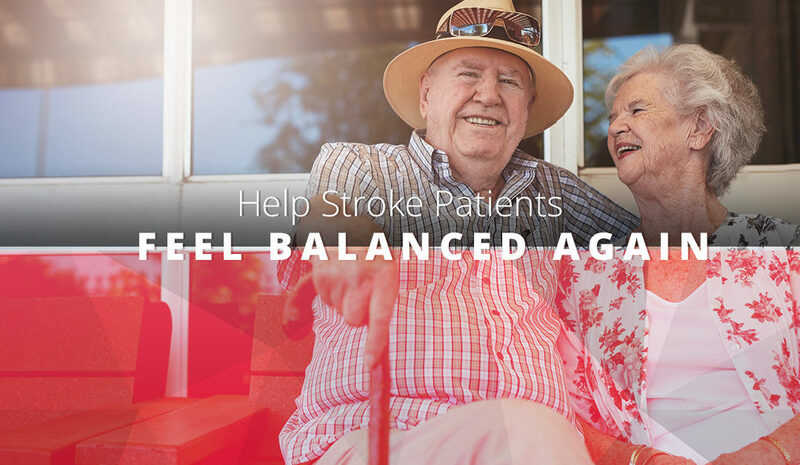 A stroke patient may never regain full mobility or balance depending on the stroke, but exercise and balance retraining activities can greatly improve balance. To truly improve, their exercises should be intensive, individual, functional, and progressive. This will lead to the greatest change and most improved quality of life. For example, when the exercises are functional, the patient should be more capable of sitting down or standing up, changing directions and speeds easily, and walking up stairs after the exercises. Physical therapy will be necessary, of course, but patients can also implement exercises on their own through exercise groups, treadmill training, and at-home exercises. Many physiotherapists may also incorporate some of those activities into the patient’s plan. Gaze Stabilization: When patients have continued dizziness and vertigo, gaze stabilization exercises can vastly improve the symptoms. Physiotherapy: Meeting with a physiotherapist is highly recommended, if not required, for all patients after a stroke. The physiotherapist can assess the patient and recommend therapy or exercises that improve balance. 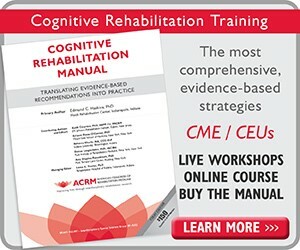 If strokes are part of your area of expertise in rehabilitation medicine or rehabilitation research, we invite you to contribute to ACRM. 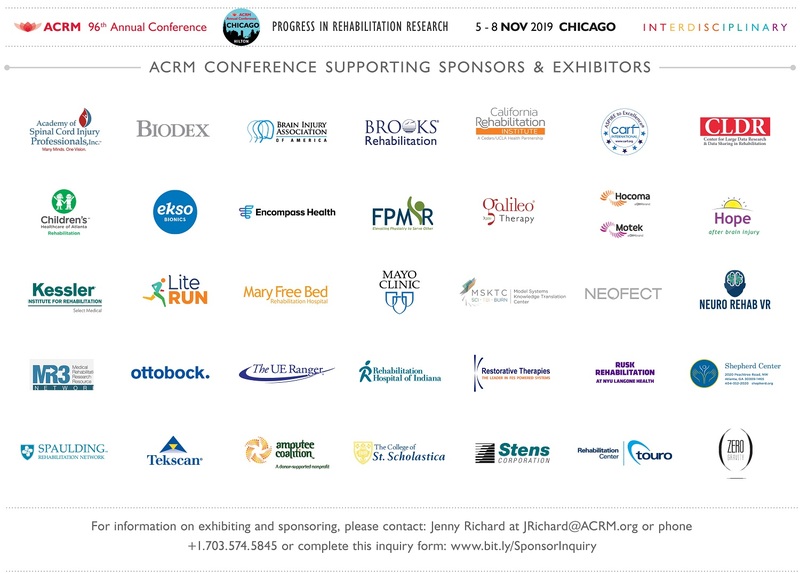 The 2018 ACRM Annual Conference will cover strokes and rehabilitation in depth — after all, we are the largest rehabilitation research conference in the world. 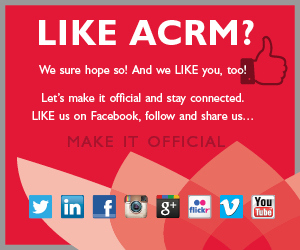 When you become a member of ACRM, you can fully commit to medical networking and have increased access to medical research journals. Join us today!